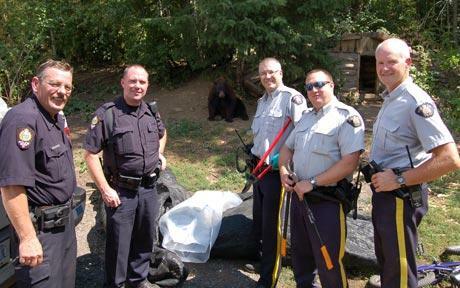 Fourteen black bears "guarded" marijuana plants. The fields of about 2,300 plants were found near Christina Lake, just a few miles from the border. Royal Canadian Mounted Police Cpl. Dan Moskaluk says that when police arrived in the area two weeks ago, they discovered the bears and cautiously went about making the seizure. Wait, THAT was the correction! This time I really really mean it. NOW it's time to buy!! Lol Palmoni, you have some crazy haters here...people that missed the entire rally from 6400 and are now pissed and bearish. No matter, a fool and his money are soon parted. 12,200 by the end of the year. Anon, you're right, 12,200 by the end of the year. But being too early is the same as being wrong. We've had a hell of a pause so far haven't we? Are you sure we're done with it? A fool and his money are soon parted? But you have a crystal ball right? Palmoni, do you have an email address?